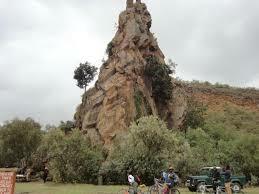 This trip covers two of the main parks in Kenya which are Masai Mara and Amboseli National Parks. In these parks you will have the privilege to see the big five and to the peak of it all, you will visit Zanzibar to relax your mind and body after long game drives. This morning we shall pick you up from your hotel and depart from Nairobi at 7.30 am and drive through the view point of the Great Rift Valley to the Masai Mara National Reserve. This enormous reserve is actually part of the vast Serengeti plains famously known for its spectacular great wildebeest’s migration and is home of the Big Five: Lion, Elephant, Leopard, Buffalo and Rhino. Lunch at the Lodge/camp and relax before departing for the afternoon game drive. The Mara Game Reserve one of the greatest wildernesses of the world. Large mammals are varied, and easy to see. The wild animals found in the Parks are: Masai Giraffe, Buffalo, Eland and thousands of plain game including Impala, Zebra, and both Thomson’s and grants Gazelles. Full day spent for viewing the great predators and explore the parks amazingly high concentration of wild animals. On the plains are enormous herds of grazing animals plus the elusive Cheetah and leopard hiding amidst acacia boughs. During the stay we also have an optional opportunity to visit a village of the Masai people to witness the singing and dancing that are part of their daily lives and sacred rituals. A glimpse into their homes and social structure is a poignant experience. After breakfast, head south, passing through Naivasha town and drive around the southern end of the lake, past the flower farms to the entrance of Hell’s Gate National Park. Soon after you enter the park the impressive landscape unfolds before you – a semi-arid world with sheer rugged cliffs, open plains and deep concealed gorges. There are many activities you can do in Hell’s Gate including, walking, cycling, rock climbing, bird watching and trekking through the gorge amongst the geysers – the choice is yours. Enjoy picnic lunch, then mid-afternoon depart for your accommodation on Lake Naivasha for a well-earned hot shower and cold drink. We depart to Amboseli via Nairobi in the morning after breakfast and drive south through Masai country to the plains below Mt. 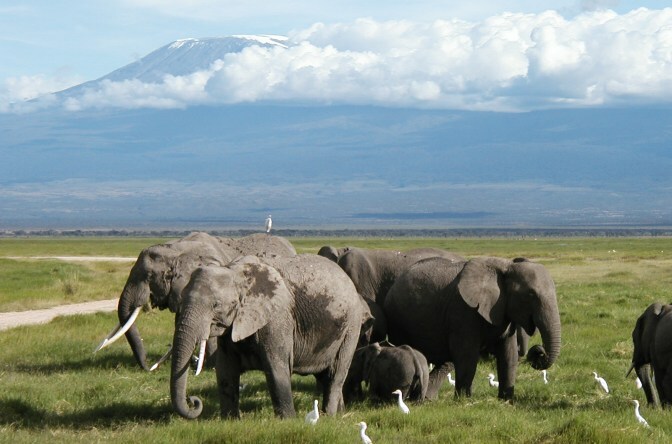 Kilimanjaro where Amboseli is situated. After a picnic lunch enroute we enjoy an afternoon game drive in the park before setting up camp in preparation for the evening. With the majestic backdrop of Mt. Kilimanjaro, spectacular displays of wildlife - lion, elephant, leopard, rhino, cheetah, buffalo and various plains' game, postcard perfect pictures are almost always guaranteed. On this day you will have your breakfast served around 0730hrs, then our cook will have organized for your picnic lunch since the whole day will be spent exploring this amazing park which will offer the back drop of Kilimanjaro. Your lunch will be served at the view point where you will be able to view the plains of Amboseli together with the clear view of Kilimanjaro if the weather allows. There after proceed to the water holes swamps where the Elephants gathers in the afternoon for the drink and other wildlife. After exploring the park proceed back to the accommodation for dinner and overnight. Depart Amboseli after breakfast, driving back to Nairobi to arrive approx 1300hrs. Upon arrival transfer to Jomo Kenyatta International Airport for your flight to Mombasa. Rest on the ocean. Visit major tourist and historic attraction sites. Transfer to airport for flight to Nairobi and then fly back home.